Sat., Dec. 30, 2017, 9:23 a.m.
NEW YORK – Among the dozens of prominent Americans entangled in sexual-misconduct cases this year are a modest number of men whose accusers are male. For some LGBT civic leaders, dismay over these cases is mixed with relief and even a trace of pride at how they were addressed. 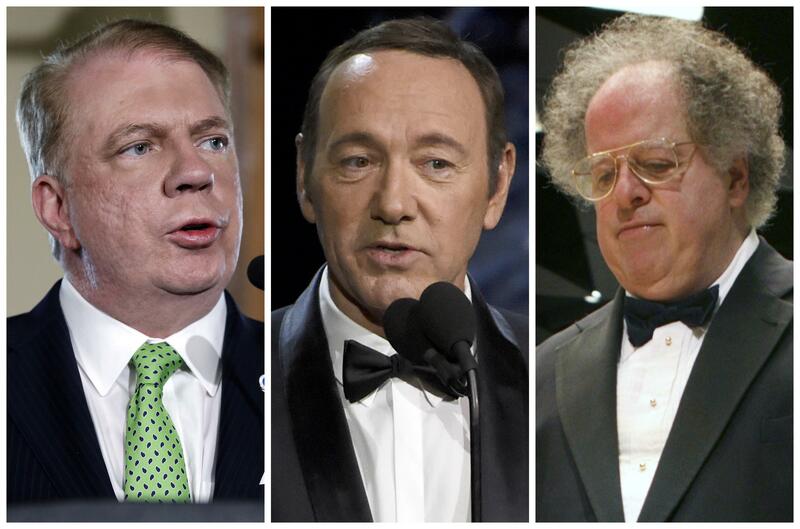 The relief reflects a general sense that media coverage of these cases – notably those involving actor Kevin Spacey, Metropolitan Opera conductor James Levine and former Seattle Mayor Ed Murray – has been mostly fair and responsible, focused on the alleged misconduct rather than on sexual orientation. But when allegations multiplied – eventually from five men, including Murray’s own foster son – that Murray has sexually abused them when they were teens, local LGBT leaders were at the forefront of the move to demand his resignation even as some straight political leaders were ambivalent. Many gay activists were furious that Spacey, in asserting he didn’t remember an encounter with Rapp, took the opportunity to come out as a gay man – a step he’d previously avoided despite long-running speculation about his sexual orientation. “While we’re going through this national moment on sexual assault, it’s really important that gay men are held accountable the same way straight men are – and I feel that is happening,” she said. The James Levine case, which surfaced in early December, has been distinctive in that the renowned conductor – currently suspended by the Metropolitan Opera – has never engaged in public discussion of his sexual orientation. He has denied claims by three accusers that he sexually abused them when they were teens. “I know a lot of gay men who had experiences with older men when they were teens and do not look at them as being bad – they look at them as finding their way,” said Clinton Anderson, director of the American Psychological Association’s Office of Sexual Orientation and Gender Diversity. Published: Dec. 30, 2017, 9:23 a.m.